The St. Joseph’s School, North Point, in Darjeeling, India conferred a prestigious ‘white coat’ on Mikyo Dorji, from Bhutan. He is one of the only 12 students in the 127 years long history of St. Joseph’s School to have been awarded the white coat. 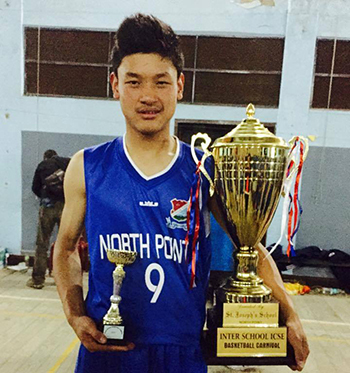 Mikyo, a student of Class- X is the first Bhutanese to have won the award for excellence in Cricket, Volleyball and Basketball. 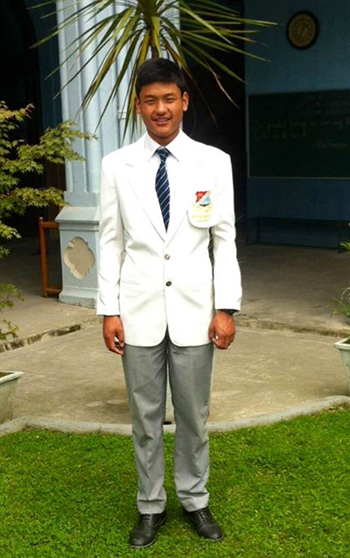 He also plays football for the school team and is registered under Thimphu FC team. Mikyo also plays basketball in one of the local teams in Thimphu.